Shore Cranes | Amsteel - We Can Handle. Transportation, material and port services in Kingdom of Saudi Arabia. 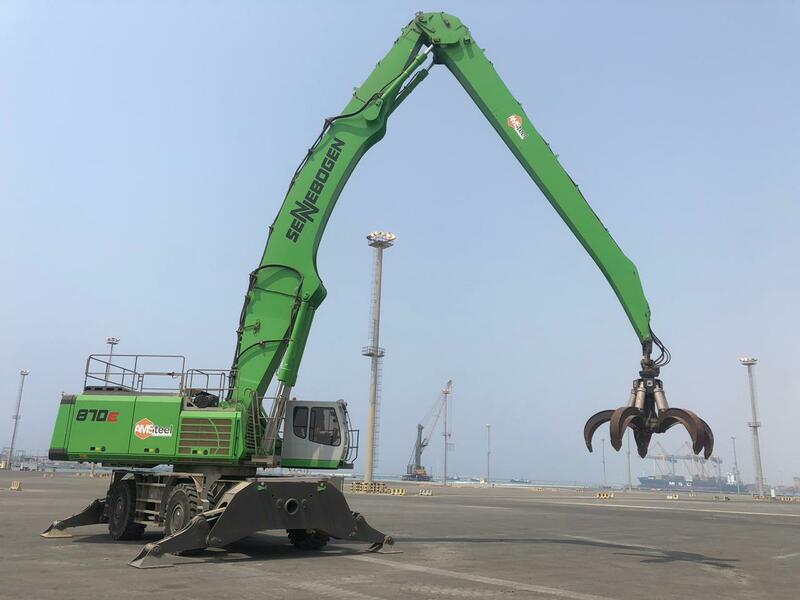 AMSTEEL has 2 x Liebherr LHM 550 mobile harbor cranes able to reach 54 mtr with a lifting capacity of 144 tons each at 20mtr distance. 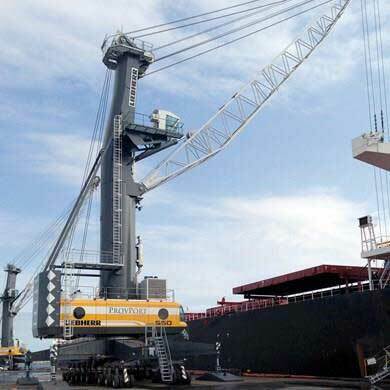 AMSTEEL has 1 x Sennebogen 880 for especially bulk operations for fast loading and discharge. AMSTEEL has a specific equipment Sennebogen 870 for back side operations.